Jesus light shines in the darkest places! 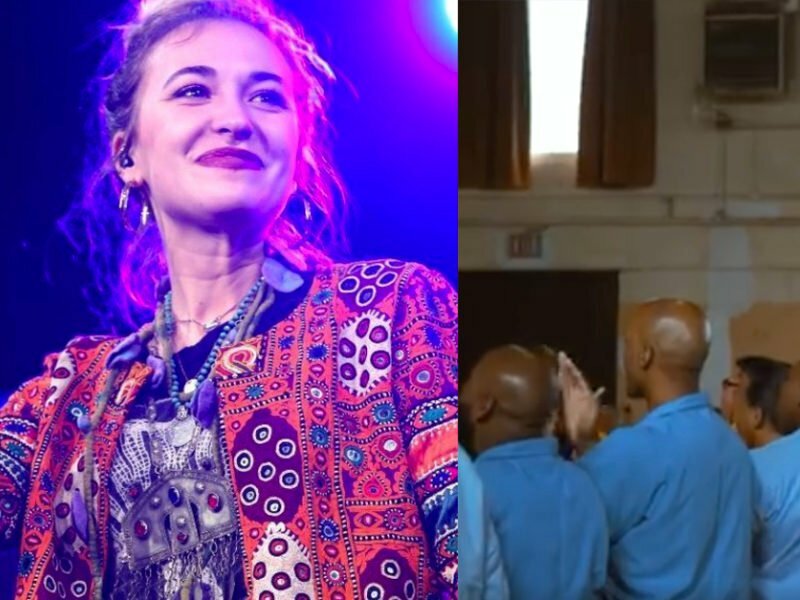 Lauren Daigle is an extraordinary Christian singer and songwriter. She made her debut with the beautiful Christmas anthem, ‘Light of the World,’ which served as an appetizer, leaving her fans waiting expectantly for more. Her first single, ‘How Can It Be’ made such an impression on the American public that it has become one of her top tracks. Her newest album Look Up Child debuted at #3 on the charts, ahead of Drake and Ariana Grande. Now, with her powerful voice, she’s making Jesus known and letting His glory shine even in a prison! Seldom do we see a Christian so bold in her faith, let alone with the inmates of Illinois Maximum Security Prison! Lauren shares how God gave her a passion for music, singing, and writing songs from a young age. Just this week, Lauren posted a video on her Facebook page about her unexpected trip to Illinois. It is evident in the video below that people are joyfully singing praises to the LORD!